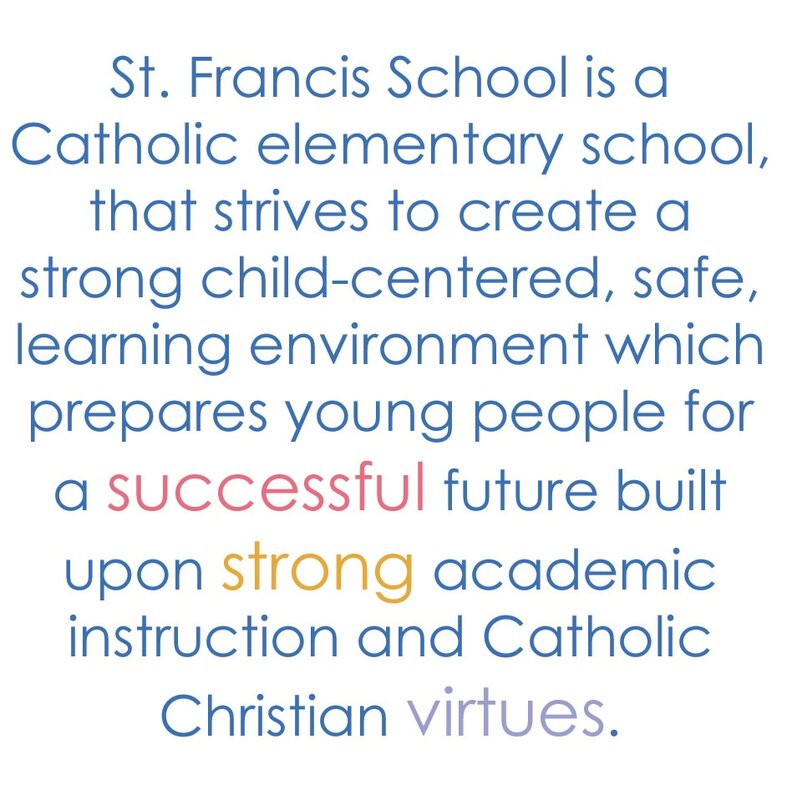 Kindness, respect, and Catholic Christian values have been our foundation since opening our doors in 1948. 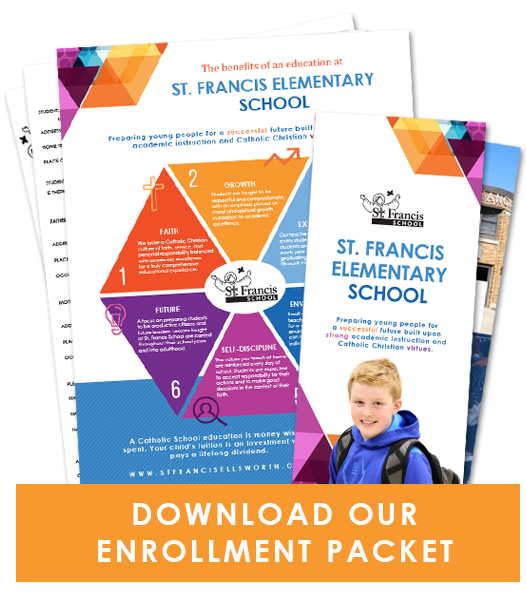 St. Francis School is a Catholic elementary school open to all faiths. We strive to create a strong child-centered, safe, learning environment which prepares young people for a successful future built upon strong academic instruction and Christian virtues. 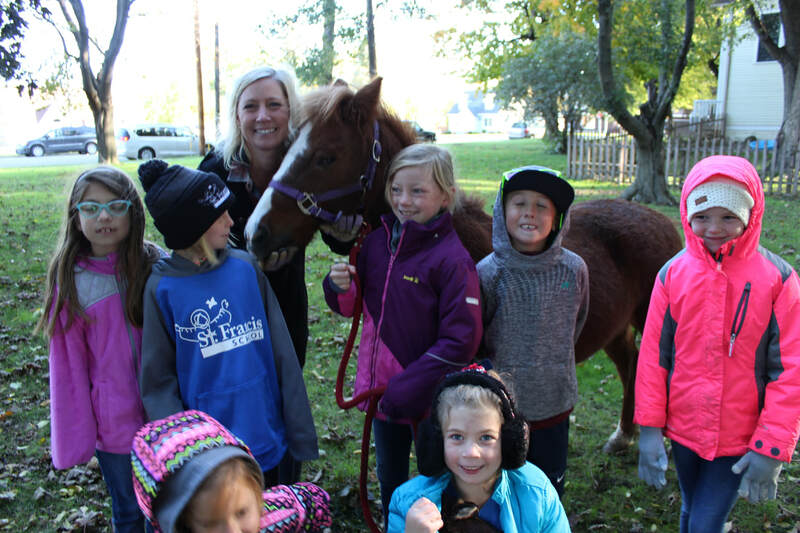 We offer 4YK* through 5th grade with small class sizes of 20 or less. More than 1,500 students have passed through our doors, going on to lead strong, successful lives. Our curriculum consists of the core subjects plus Religion, Handwriting/Cursive, Technology, and Music. Hands-on learning is encouraged with field trips, robotics, STEM, and dramatic performances. We meet WI state standards and the standards for the Diocese of La Crosse. Many of our students have graduated as valedictorian, salutatorian, or as honor students, proving that what kids learn at St. Francis serves them well their entire lives. We are committed to curriculum and instruction designed to meet not only the present needs of students, but to prepare students to become just and prayerful adult Christian leaders. Our school creates an atmosphere of faith, hope, and prayer where teachers and students can nurture the image of God in one another. In addition to our faith-based studies, our 1st-5th grade students* attend Mass weekly and take part as greeters, readers, cantors, gift bearers, and altar servers. Music education is an integral component of the curriculum. Our children show great talent performing a school-wide program each Christmas and Spring. The opportunity to learn cohesively as a student body allows older students to become role-models while giving younger children confidence and excitement. Safety is a top priority at St. Francis School. Procedures and protocols include locked doors and controlled entry by school office, cameras installed at entries, safety drills implemented regularly, and successful background checks on all volunteers. St. Francis complies with federal and state regulations for our hot lunch and breakfast programs. Nutritious meals are prepared on site. Free or reduced meal programs available to those who qualify. Each month, students learn about a virtue and strive to choose behaviors that reflect that virtue. We believe the Holy Spirit inspires all that we do. We embrace the Gospel of Jesus Christ and encourage a personal relationship with God the Father. We acknowledge the diversity of others & their beliefs.